Rose mandalas are as beautiful to behold as the flower they depict but there is so much more to these mandala flowers than beauty. This mandala design carries a deeper meaning connected to the flower it represents. Mandalas are used in meditation to facilitate transformation, enlightenment and healing. Many types of mandalas, like rose mandalas, are also used extensively in art, jewelry and tattoos. The rose mandala design symbolizes love, passion and sensuality, in keeping with the rose flower. However, rose patterns are also a symbol of balance, devotion, faith, honor, intrigue and wisdom. The mandala flower can be any color or combination of colors. There are special meanings strongly associated to certain colors. A pink rose mandala represents first love, healing and innocence. 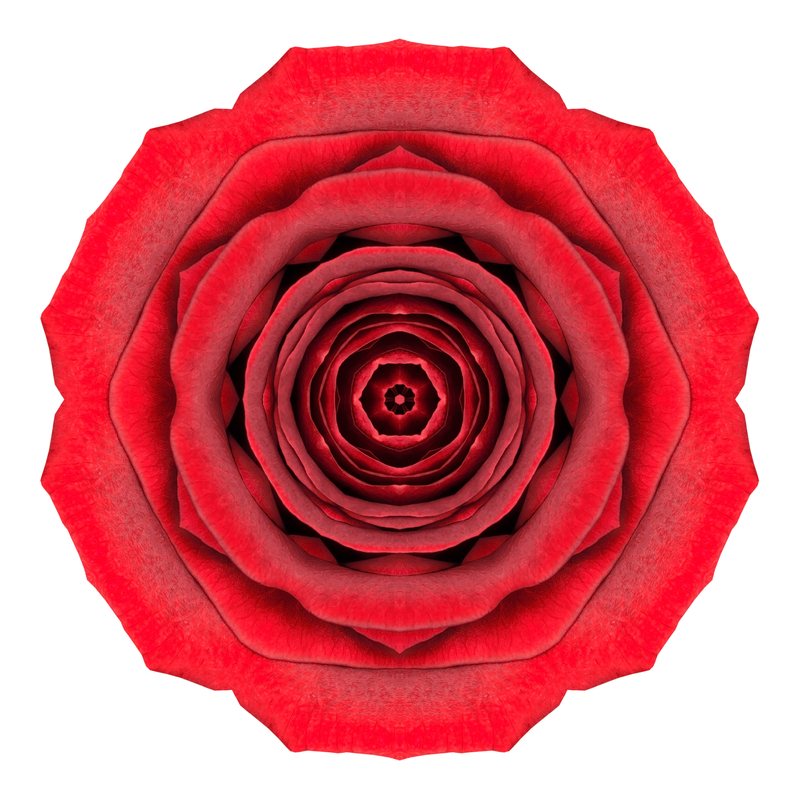 A red rose mandala is all about health, immortal love, memorial, passion and sacrifice. A white rose mandala is connected with mysticism, purity, sanctity and a secret admirer. A yellow rose symbolizes joy, mature love and protection against a jealous lover. When the rose mandala image is used in keeping with its original purpose, its color may influence the path of transformation and healing. If your meditation focuses on matters of the heart, choose an image with a color that most closely addresses your concerns and desires. Rose mandala art generally encompasses the basic floral pattern of the rose, although the sky’s the limit when it comes to the variety of colors and exact shape depicted in the final image. Etsy has a huge selection of rose mandala floral jewelry, clothing and a variety of other items. Drawing mandalas is believed to be extremely therapeutic. Swiss psychoanalyst Carl Jung was a great supporter of mandala drawing. Rose mandala coloring pages can be found at Etsy. They are downloadable PDF’s that you can print out to color. You don’t really need to buy coloring pages, though. Freehand rose mandala coloring can be even more therapeutic. It gives you greater freedom of expression. The basic form of a mandala is a circle, often within a square but not necessarily, with a center point that is surrounded by four evenly spaced gates. Rose images found on the rose mandala can depict one rose or multiple roses, if you prefer. You can use any color or combination of colors. Just go with what feels right to you. Coloring the rose mandala is typically done with colored pencils but you can, of course, use any medium you are comfortable with. The word Mandala is a Sanskrit word which translates to circle. Rose mandala tattoos are very popular. The floral patterns and colors vary. Colors can be chosen to reflect a rose color symbol. Additional symbolism connected to this mandala flower could play a part in the tattoo’s meaning for you. In Ancient Rome, the red rose symbolized fallen soldiers being delivered to Venus while Mars, the God of War, proudly looked on. The red rose also represented resurrection. In Greece, the rose’s connection was with Aphrodite, Dionysus, Hecate and Greek Muses. Rose mandala tattoos are most often put on a larger, flat part of the body like the back or chest due to the circular shape if the images.